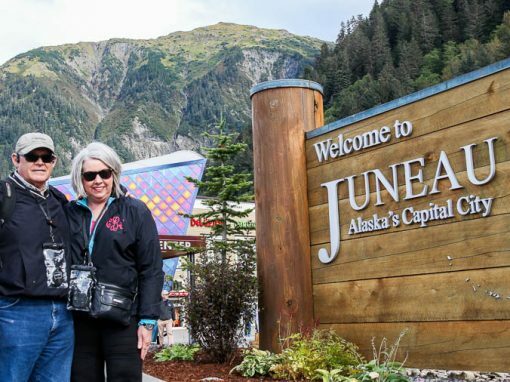 Juneau situates itself in one of the worst places to build a city. 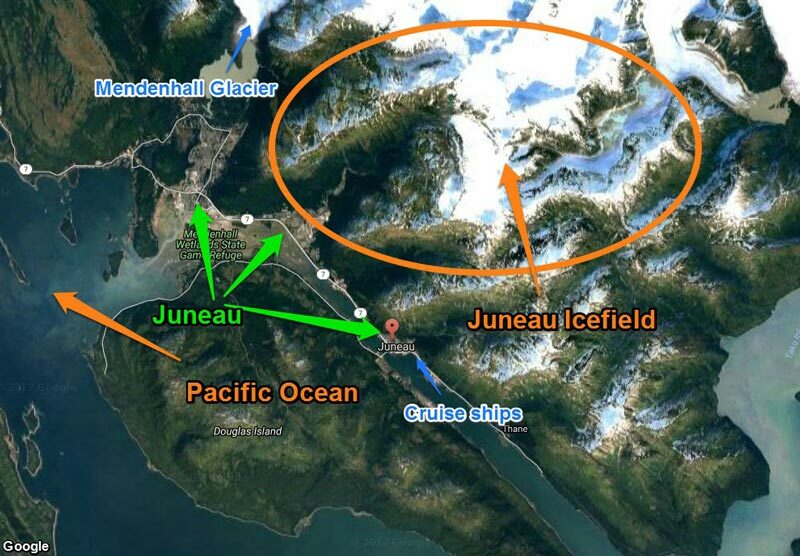 On one side sits the Pacific Ocean and only a couple miles inland is the Juneau Icefield, a vast stretch of glacier ice the size of Rhode Island. Thankfully, Juneauites aren’t building a city. They are building a quaint town currently around 33,000 people on one of the most beautiful stretches of land in the world. The juxtaposition of rain forest colliding with glaciers and ice calving into oceans is completely surreal. It is a nature lover’s paradise. Because of the raw beauty of this land, friends and family are tough to keep away for long. 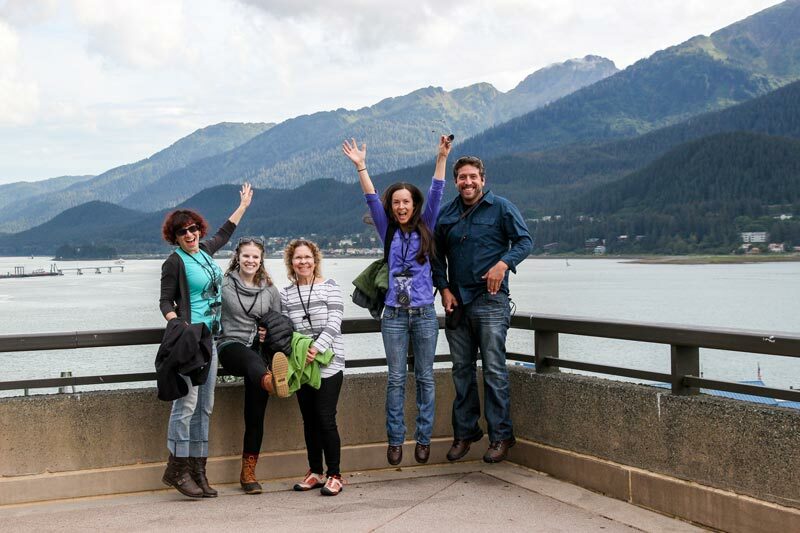 After picking them up at the airport, I immediately take them out to explore the most surreal sights of Juneau. If you have limited time, these are essential places to consider exploring. The first time I visited Juneau, Nugget Falls was the very first place I visited. It didn’t matter it was 10 P.M. already. What I experienced completely changed my life. 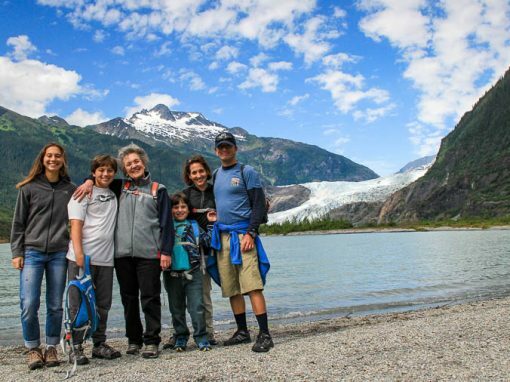 The 3/4 mile hike from the Mendenhall Glacier Visitors Center follows a smooth path out to a sand bar. At the end of this sand bar is a raging mist created from Nugget Falls propelling down almost 400 feet. 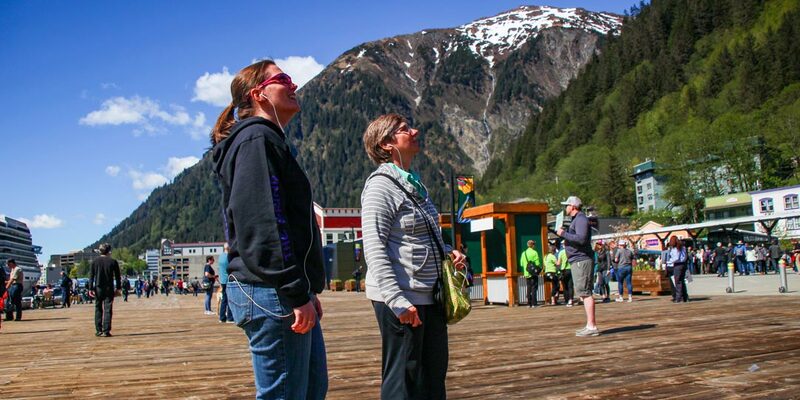 That’s when I realized there is something special about Juneau. The adventure possibilities here are endless and powerful. 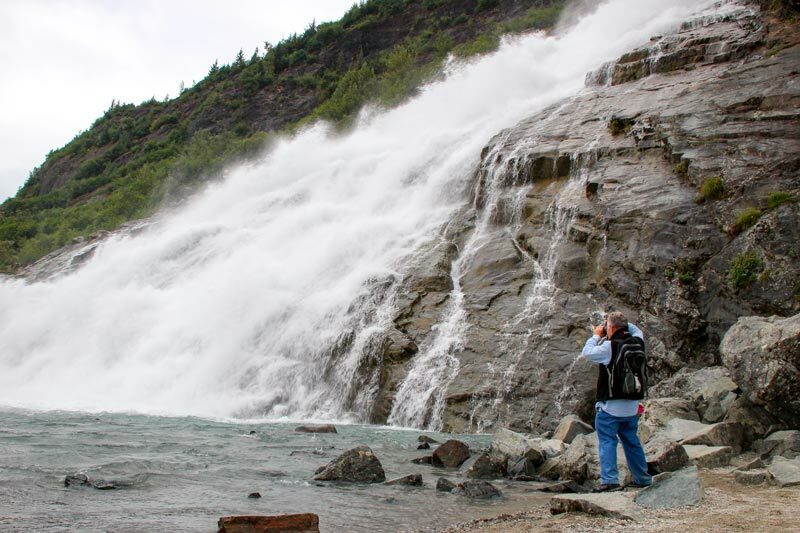 The second stop sits next door to Nugget Falls on the backside of the Mendenhall Glacier Visitor Center. This area is the Trail of Time. It’s always stunning to see the rock markers along the path showing 1937, 1920, or 1916. 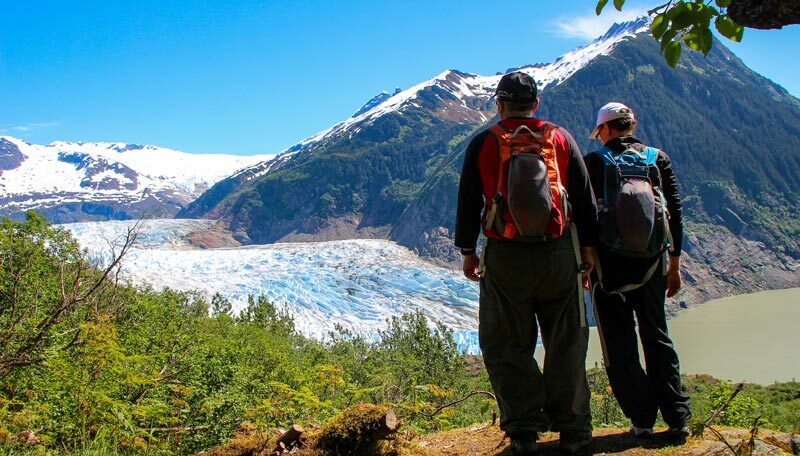 These all mark years when the Mendenhall Glacier rested its icy tentacles on this land. Today, the glacier has receded almost two miles from these points! This glacial recession allowed the forest to grow and is the reason behind the name, Trail of Time. 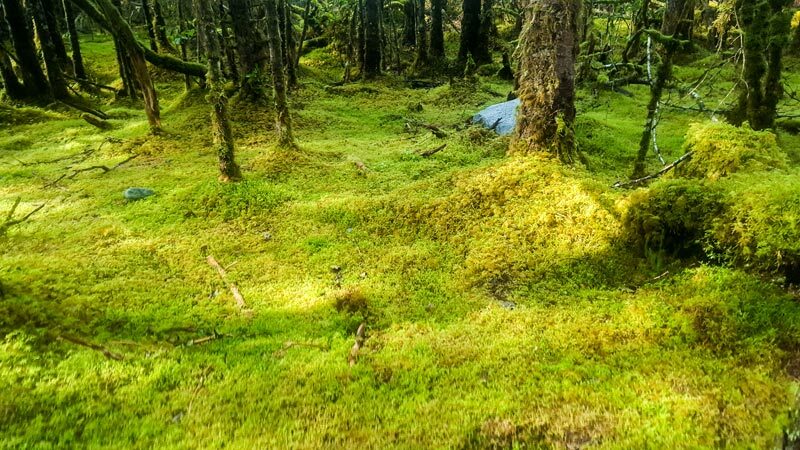 Of all the forests in Juneau, the Trail of Time rests in some of the most pristine forest I’ve ever seen. Layers of vibrant moss cover almost square inch around. If you’re lucky, you may also see running salmon in the streams or a wandering black bear. Just another stroll through Juneau. My first whale watching trip ended with a surprise I never could have imagined. A group of humpback whales were bubble net feeding, a technique where the whales blow bubbles into a school of fish forcing them upward when a second group swim up through the bubble net to enjoy a meal of a thousand fish. I was lucky enough to catch all of it on video when I least expected it. The video below is what I accidentally captured and certainly not the norm on most whale watching expeditions. If you haven’t noticed yet, Alaskans LOVE their salmon. Every potluck I go to always has a couple of salmon dishes to enjoy. Salmon are an important factor in our economy and culture. The Macaulay Salmon Hatchery helps keep the wild Alaskan salmon industry thriving and shows a unique perspective. It sits off of Egan Drive about four miles from downtown Juneau. 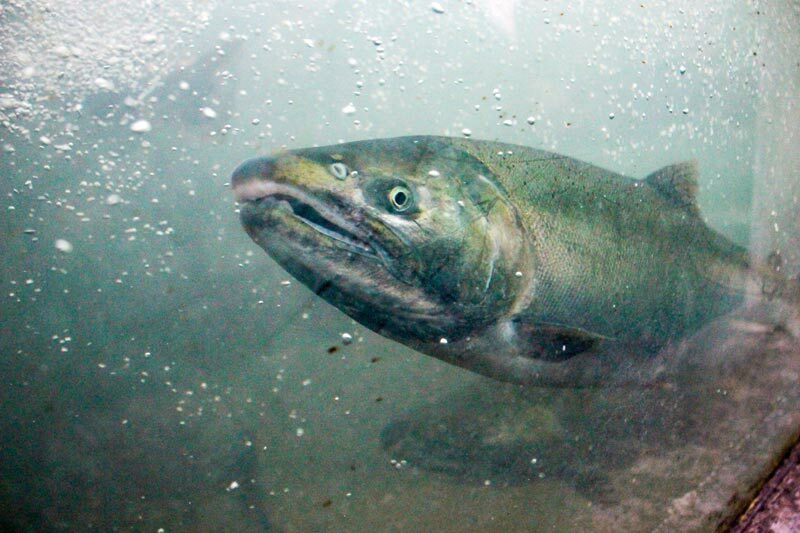 There are aquariums, touch tanks for the kids, and eye-opening tours to witness the salmon life-cycle. One time I saw a seal jump up a fish ladder and catch a salmon dinner. Returning to downtown Juneau, the State Office Building, locally known as the S.O.B, is one of the best-kept secrets. You would never know it from looking at the outside, but on the 8th floor is a beautiful atrium with many historical photos and artifacts. But the real gem is the balcony. After walking through the atrium, large window doors lead to the best panoramic view of downtown Juneau. Remember to go weekdays between 9 A.M. and 5 P.M. or else the building will probably be locked. There are hundreds of surreal sights around Juneau, and no one will ever see them all. But if you have only one day, or a couple of days to explore, these are the essentials you should not pass up. Want a guided tour to these sights? If you wish to go on a guided tour and enjoy any of these sights, Adventure Flow can take you there. 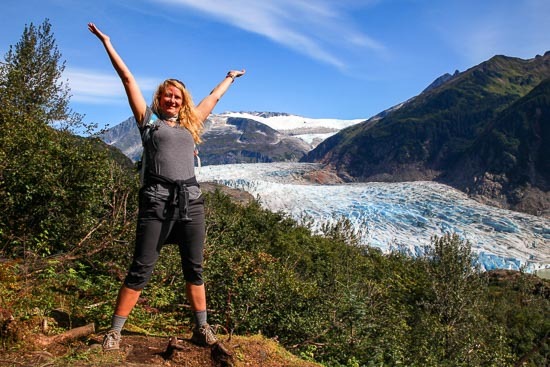 Explore our different tour offerings such as the Smartphone Photography Hike at Mendenhall Glacier, the historic downtown walking tour, or a private tour which really opens up the possibilities.